Educate ourselves about non-motorized transportation concepts. We want to know what other communities are doing, find out what works and what doesn't, and come up with creative solutions to Everett's unique transportation concerns. Share what we learn with others. We need to understand some of the complexities of our transportation system, and if we share our knowledge with each other it will be easier to understand. Promote transportation change within the City of Everett. This change needs to be done through participation with local government, and with the community at large. 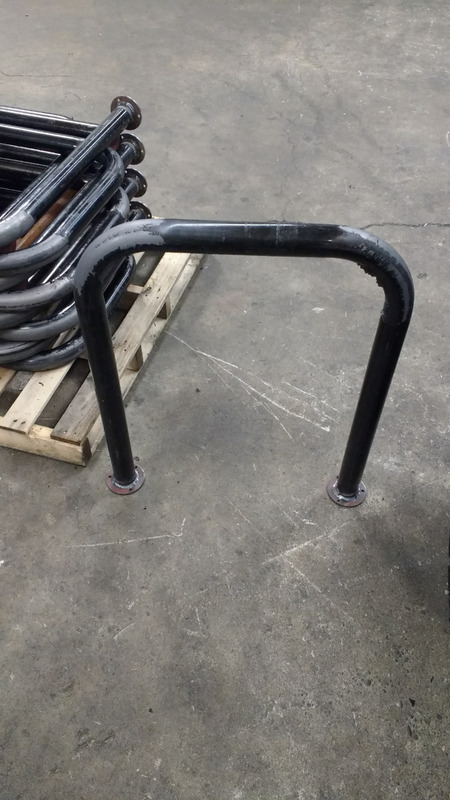 Everett Bike Walk recently partnered with several local entities to build 51 new bike racks. As of January 2019, they are complete and have been delivered to the city; the Public Works department will be installing them over the coming months. This will be great for our local businesses, as each person who rides a bike will leave a parking space free for someone else.